This rock candy took three days to make. 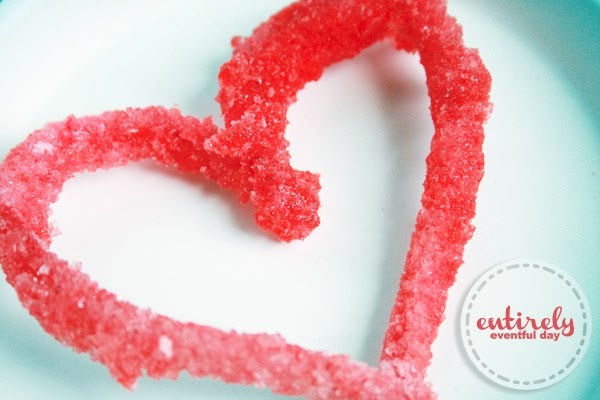 The good news: there is enough time for you to make some before Valentine's Day. The bad news: um, it took three days to make. It's cute though, right? 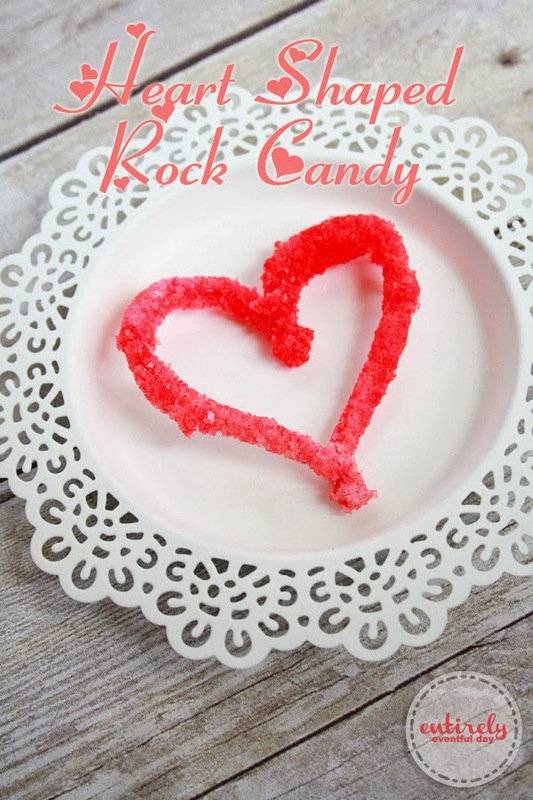 You should make some Heart-shaped Rock Candy for your Valentine's Day festivities. This is the YouTube video I used to learn how to make it. I took pictures of my process but this lady is way better at it than I am. 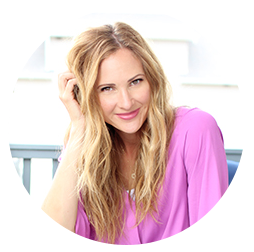 And I'm sure if you have experience making rock candy that you will be way better at it than I am too (not hard). 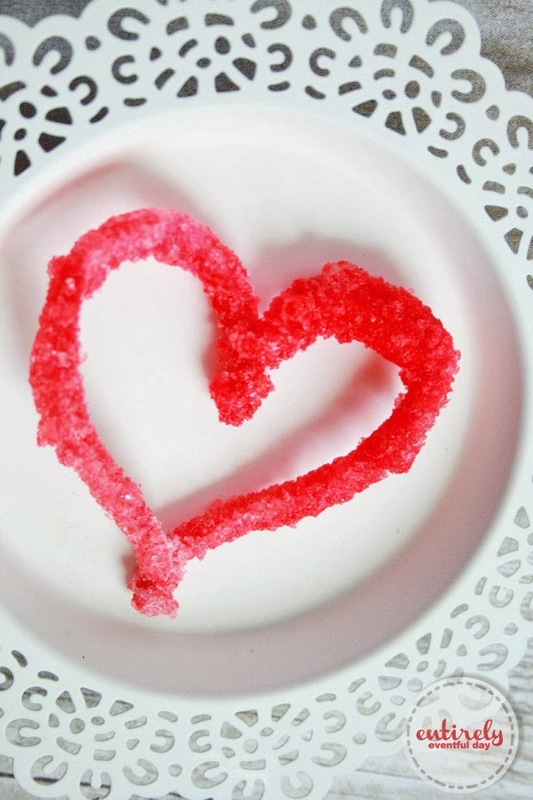 First thing I did was shape my pipe cleaner into a heart shape. Then I checked to make sure it would fit in the jar without touching the bottom or sides. 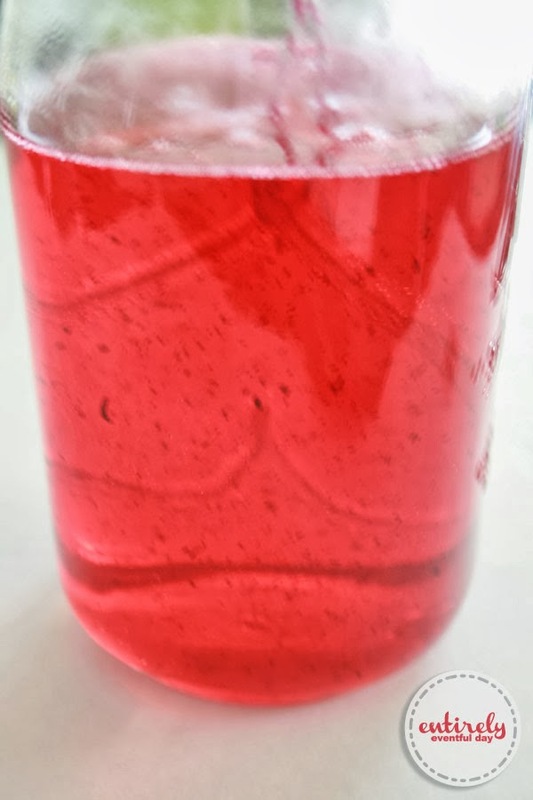 I make the sugar mixture, added coloring, and poured it into a Mason jar. 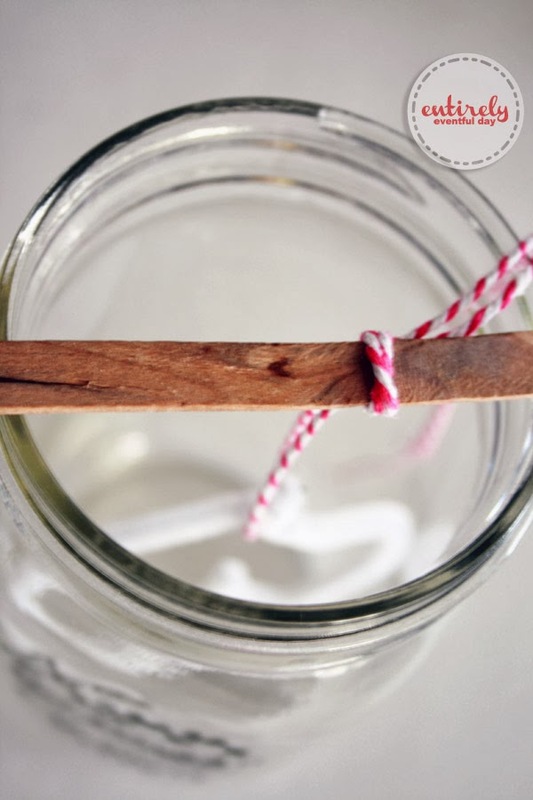 I then suspended the pipe-cleaner heart in the jar. And then I let it sit on my kitchen counter for three days. Good thing I'm not a neat freak. Eventually, I got this cute little love token. My kids loved watching the crystals develop over time. 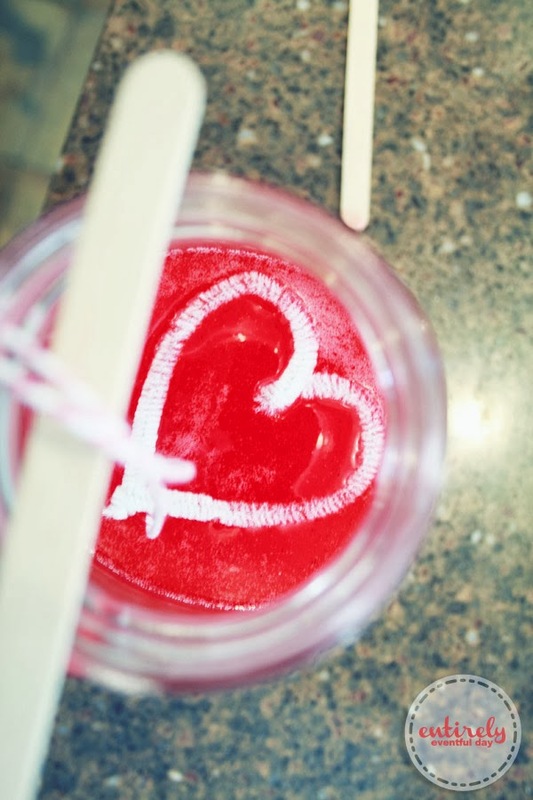 Confession: I was seriously not as good as the lady in the YouTube video at making rock candy... seriously. My sugar solution crystalized a lot more than hers did. Good luck and Happy Love Day!